I really didn’t expect to encounter a seagull on the supermarket parking lot this afternoon, since it’s actually pretty far away from any water. 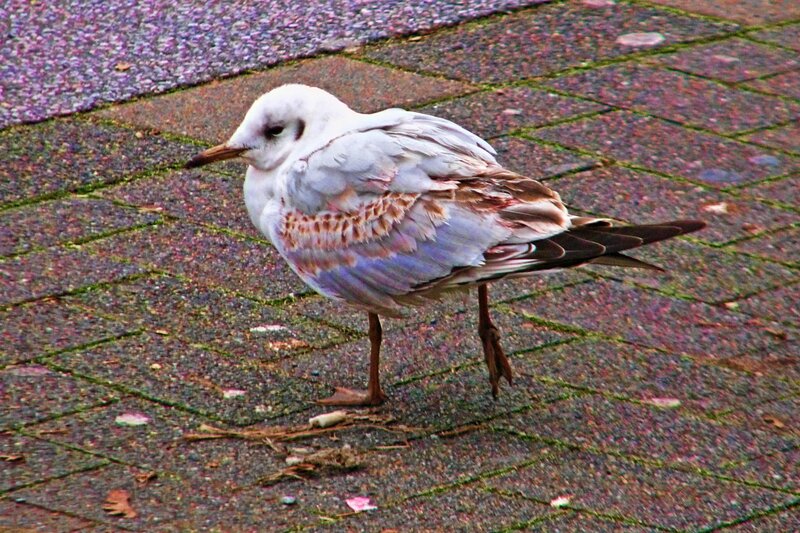 I thought I saw some seagulls flying over shortly before, but then there was this one waddling along. I have no idea what sort of seagull it is exactly, but I’m at least certain that it is one in the broadest sense judging by the webbed feat and beak/head shape.